Welcome to shoesexpress.com.au, your online retailer of footwear for the entire family. Our objective is to offer a large variety of brands and styles, providing excellent value and service to our customers. Some of the more popular brands we offer include Bare Traps , Dunlop Volley, Grosby, Pierre Fontaine, Hush Puppies, MG, Roc Boots, Emu Australia and more. We have selections of canvas shoes, casual, comfort, dress and fashion shoes, sandals, school and sports shoes, football boots, ugg boots and slides. Our fitting guide for each style makes it easier for you to choose a style suitable for yourself. At shoesexpress.com.au, we are committed to provide all customers with excellent service. We also have “No Hassle Returns”, so if you’re not happy with your purchase you can easily return it to us for exchange or refund. We offer shipping anywhere in Australia for just $4.95 and we can ship internationally. Beloved for their extensive assortment of trendy women’s boots, Brand House Direct stays ahead of the curve as an attempt to provide consumers with only the latest and greatest in shoewear. Based out of Australia, this top-tier shoe factory boasts a robust collection that gratifies all style preferences. From adorable ankle boots to comfortable lace-up shoes, Brand House Direct offers it all. The women’s boots mentioned below are among some fan favorites. Manufactured in Portugal, this durable ankle boot doubles as active footwear. Included with a rubber outsole and flexible exterior, Scarlett women’s comfort boots can be dressed up and down. No doubt an interesting pair of Womens Boots by Brand House Direct, his flat leather ankle bootie offers a flat heel and “soft rubbery leather.” With their unique lace-up front and quirky shoe strings, Jessica’s leather boots are a standout shoe. Sporty meets trendy with this edgy boot. Praised for their durability and comfortability, this leather lace-up boot is a harmonious blend of practicality and contemporary. Slip these fashion-forward booties on an off in a jiffy. These impossibly comfortable boots are both suede and versatile, making them a beloved member of Brand House Direct’s collection. Mia’s Flex & Go women’s boots are simply charming. From their chic straps to their refined ankle boot design, there’s much to admire when it comes to this boot, shop now at https://www.brandhousedirect.com.au. Consumers adore this Flex & Go number, chiefly because it’s the quintessential leather boot. Simple in design yet appealing to the eye, this boot is the perfect balance of modern and effortless. Spring is just around the corner and there’s never a better time for updating your wardrobe with the hottest new Spring fashions from Brand House Direct. Now is the best time to put the rain boots in the closet and try on quality new footwear featuring all your favorite brands. With hot new styles and name brand boots, trainers and sandals you can find something just right for the entire family. Don’t forget to take advantage of Brand House Direct Discounts, Groupon specials and the Brand House Direct eBay stores fortop styles at even greater savings. For stepping out or taking on the town, Brand House Direct features top name brand boots, casual and dressy shoes in styles to suit her every need. Just as today’s busy woman wears many hats, she needs shoes fit to match any occasion. Try super comfortable and attractive sandals or loafers by Adacco. Brand House Direct stocks one of Australia’s largest ranges of classy and comfortable casual shoes for ladies. If new boots are on your must have list, look no farther. A wide range of ankle boots, mid calf and riding boots available in the hottest new styles and colours. For out and about Brand House Direct features top quality hikers by Merrell, North Face and more. Ruggedly built trainers designed to fit perfectly and keep delicate feet safe on the jog or climbing your favorite hill. The selection is vast at prices too good to ignore. Check out the Crazy Sale for even more great brands at prices you’ll love. Men like looking good but usually despise shopping. No worries, Brand House Direct features all the handsome dress, casual and athletic styles you are looking for in one easy location. Browse through the styles that interest you, make your selection and off you go. Whether you need rugged work shoes, trainers for sports or a comfortable and classy dress shoes, Brand House Direct stocks the brands and style you want. Rockport, Caterpillar, Nike, Sketchers and so much more. Your convenience matters. That’s why you’ll find a great selection of men’s clothing, sunglasses and accessories in popular styles, colours and a wide size range. Everything you need, at attractive prices you’ll love. Try the New Arrivals for the season’s trendy new styles including Nike Air Max and hot new casuals by Ferricelli Marcus. Take a step into Spring today with spring footwear for the whole family at Brand House Direct. It’s your best one stop shop for style, selection and savings. Brand House Direct has the largest catalog of shoes anywhere online. You can buy shoes from this company in any style, and you can buy them for anyone in the family. Take a look at what this company can do for you when you go shopping for shoes for everyone. You can buy online, setup your cart, and get everyone in shoes that look fantastic. Shoes for everyone are available on the same site, and you will see these shoes in all their categories, colors, and styles. You have to remember that you can buy any shoe you want for the lowest price possible, and you can search for the specific kind of shoe that will make you all look your best. Your kids can find the best shoes, and the parents will have the right shoes for work. Search for the color that you want to wear through Brand House Direct, and you can choose a color that works with all your different outfits. Women will find the colors that help them have a range of options for setting up their next outfit. These women are searching for something that will be the perfect match for their clothes so that they can have the exact pair of shoes that is needed. Brand House Direct makes this whole process much easier when special colors are needed. Searching for men’s shoes at Brand House Direct is something that men can do easily. Men must have dress shoes for work, loafers for casual Friday, and boat shoes for the weekend. All these shoe options work together to help a man look fantastic, and he has much more confidence because they have the right colors and styles for their feet. The women’s shoes that ladies find at Brand House Direct must have different colors and shapes. The shoes must have different heels, and ladies need flats that will help them feel their best. Someone who wants nice shoes must be certain that they have found a style that will suit their signature. Women need more shoes than most, and they spend much less money on those shoes when they get a large set for their wardrobe. Kids shoes are needed for all children who want to look cute, and parents can buy kids shoes online for far less money than they would spend otherwise. Parents know that their kids will outgrow many of their shoes, and shopping with Brand House Direct makes it easier on everyone. Brand House Direct has the best selection of shoes for the whole family. There are many sales on the Brand House Direct site, and there are many ways for people to get extra discounts through coupons and specials on the Brand House Direct site. Families can all buy shoes at the same time, or something with a discerning taste can use Brand House Direct to change their style. Shoes can be used to express oneself. Boots can take you from work to play. They can dress an outfit up or dress it down. 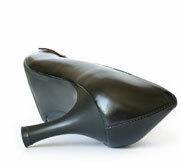 They can provide comfort or add extra height. Women’s boots are no exception. Below are ways to use women’s boots to match a dress code. Women’s boots can be worn with everyday ensembles easily. During the fall, riding boots and ankle boots can complete an outfit without much effort. Riding boots are no longer for equestrians only. This simple and comfortable style of womens boots https://www.brandhousedirect.com.au/ can be paired with a slouchy sweater and jeans for the finishing touch to a casual outfit. Generally made with a low, thick heel, these boots are either pulled on or zipped. When shopping for riding boots, be sure to check the space around the calf. A lack of space may make it difficult to tuck jeans inside the boots. However, there is always room for leggings – the perfect bottoms for a casual look. Similarly, a pair of skinny jeans can be tucked into ankle boots or cuffed just above the top of the boot. Both options provide a splash of style to an otherwise basic look. This type of womens boots also matches well with short skirts, especially those with a flare. Now that casual outfits have been covered, it’s time to move on to dressing up ensembles using women’s boots. The easiest way to do so is to wear a boot with a thinner and higher heel. It is an instant way to elevate the dress code of an outfit. A leather knee-high boot with a three-inch heel at once adds sophistication and sass. Combine these boots with a knee-length or midi-skirt for an outfit that can go from day to night. The overlap of the skirt’s hem and the start of the boot keeps the entire leg covered and keeps it appropriate for work. For a girls’ night out, consider switching to an over-the-knee boot with just enough of a heel to keep from causing any foot pain. The right pair of boots can transform any outfit to fit one’s needs. The options for style, color, height, and fit are endless. With a wide variety of possibilities where women’s boots are concerned, there is certainly a pair to match any occasion. One needs only to do a bit of research and test them out. Brand House Direct is an online shoe store plus so much more. Here you will discover shoes for every member of the family along with name brand clothing and accessories. Whether you are shopping for men’s, women’s, or children’s shoes, you’ll have over 80 brands to choose from. With more than 5,000 products in their inventory, Brand House Direct is sure to have just what you are looking for. You will find everything you need in women’s fashion. This includes wedges, heels, and sandals that range from casual to formal footwear. Men and women alike will appreciate the athletic shoes, boots, hiking shoes, and occupational wear from the top brands like Skechers, Scholl, Rockport, and Vionic. Brand House Direct even has the kids covered with football/soccer shoes for sporting events, comfortable school shoes, and trendy light up designs that are both fun and functional. Women will discover cute tops and leggings from Everlast that are ideal for a casual afternoon as well as Nike sports shorts that can serve double duty as daytime wear or exercise clothing. You would think that only the women would be interested in their fashions, but Brand House Direct has everything the men need for work and play. Utility shorts and diesel pants provide plenty of pockets for all the extras while High Visibility shirts will keep you safe at work. You’ll even find a full line of outerwear that includes heavy insulated jackets for winter temperatures, hoodies for chilly days, warm vests, and beanie caps. The fashionable wallets by Dekerce can be used alone as a clutch or tucked in a bag when rushing through your busy day. Their sunglasses protect eyes from all angles while still looking stylish and trendy, but this is only a sample of the many other accessories available for men and women. Look for everything from belts to duffle bags while browsing through this amazing category. Shopping is easy. Simply browse through the many available products before making a final selection. By signing up for the newsletter you will be able to receive discounts and sales alerts by email which means you’ll always be getting the best deal possible. If for any reason you are unhappy with your purchases, they offer a 30 day, no hassle return policy. Simply send back any original unused items for a refund, and if you paid through your PayPal account, the return shipping charges will be reimbursed. When it comes to putting on your shoes from Brand House Direct, it’s likely you don’t even think twice about why you’re doing it. You just have engrained in your mind how to tie those bunny ears and get out of the door. However, it’s important that you truly understand why wearing shoes provide so many more benefits than going barefoot. The first major benefit of wearing shoes from Brand House Direct is that you protect your feet from harmful germs. It’s not a big surprise to anyone who is on their feet often that dry and cracked feet happen. These cracks allow for harmful bacteria to get into the bloodstream of your body. This is how the HPV that causes warts and other viruses are contracted. Shoes help to provide your feet with a protective layer between you and potentially harmful bacteria. The next benefit of sporting shoes is that you can protect your feet from injury. While your shoes aren’t going to protect you from major harm, like a boulder falling on your foot, they will provide protection from acute injuries. Things like stubbing your toes, stepping on stones or glass, and other objects can be easily avoided with shoes from Brand House Direct. Just take a small walk outside in your bare feet and you’ll come to notice that even the smallest pebble can hurt when you walk on top of it. When it comes to maintaining your stance without slipping, shoes from Brand House Direct are a must. Bare feet don’t have any sort of tread to allow you to keep your grip on certain surfaces. For example, it’s very easy to slip on hardwood floors, wet surfaces, and even the gas pedal. When you wear shoes that have rubber tread, you can better grasp the surface. This will allow you to stay more stable and prevent you from unnecessary slips and falls throughout your lifetime. When you’re assembling the right outfit for your big night, your shoes provide another layer of style. Going barefoot to an event will be sure to get you some uncomfortable looks from people. By covering up your feet with some stylish shoes, you can feel good about the way you look. When you feel good about the way you look, you have more confidence in life. This is why it’s so important that you get a variety of shoes from Brand House Direct so you have ones for every single occasion you need them for. Wearing shoes from Brand House Direct is a habit for most of the people in the nation. Many of us do it simply out of habit and don’t realize the many benefits that our shoes provide for us on a daily basis. All of the above are just some of the various benefits you can gain from wearing shoes on a regular basis.